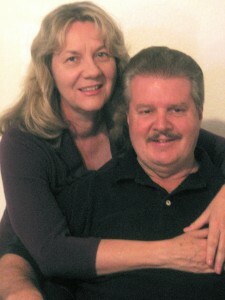 Brent and I are happy to report that we have been invited to speak at the International Association of Near Death Experiences Conference in Scottsdale Arizona in September, 2012. The conference theme is “Visions of the Future” and we are excited to share our newest research and two brand new books. Here is the link to the IANDS web site with some of the keynote speakers already up on the site. We are excited to see some great friends from around the country whom we have me through IANDS. Some of our best friends have been to heaven and back. .
Brent and I were the directors of the Scottsdale, Arizona IANDS for several years and have always enjoyed our association with these great people who are making a difference in the world. From their work with the hospices, who care for the terminally ill and make their transition into the other side a little easier, to the fun and great relationships we have made over the years with such outstanding individuals as Kimberly Clarke Sharp, Dannion Brinkley, Elane Durham, Suzanne Freeman, Howard Storm, Ned Dougherty, Dr. Kenneth Ring, Alexa Hartung and so many more, we invite you to come and join us the very first of September in Scottsdale, Arizona–check out the IANDS website for details and register on line with them.